If you need to get an invite or want to invite your colleagues to the Slack community, the easiest way is to get them to fill in this form. One of the admins will verify/process the request and send and invitation. Keep channels on topic. Use #random or #venting for off topic subjects. Don’t post the same question across multiple channels. Maintain a positive tone on the community; we’re here to help one another. If your question is about something specific, then use the specific channel. (i.e. #unicorn, #solr, #module-spe) so people interested in that topic can help provide better support. Relevant screenshots should be used to help further explain your question. Funny or random images like from giphy should only be used in the channels #random and #venting. Please be courteous and carry out some basic research before asking (i.e. do a Google search or check on StackExchange). Some questions may turn out to be better suited for the Sitecore Stack Exchange. 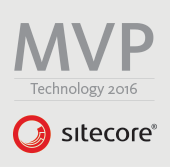 This amazing community came together and started https://sitecore.stackexchange.com. Please add your name to your profile. It’s nice to know who you are talking to! People with knowledge and expertise in particular areas/modules will usually hang out in those channels. 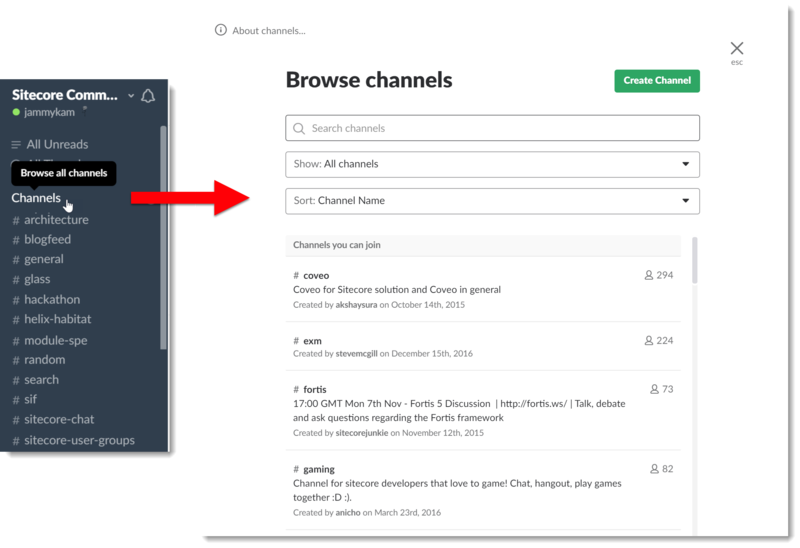 If you want to ask a question ask a question and do not see a specific channels then feel to ask in the main #sitecore-chat channel. Please do not post the same question across multiple channels. It’s quite annoying when people spam multiple channels with the same question. If someone does not answer, it may be because they do not know the answer – we don’t know everything unfortunately. Worst is 2 groups of users now having 2 separate conversation, each without the context of the other. 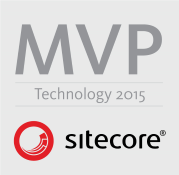 Consider posting the question to Sitecore StackExchange. It’s not uncommon for someone to post a question and then be told that they would be better asking in a specific channel or they discover the channel for themselves. Feel free to post there but also delete the original to avoid the above problem. Please do not spam the channels. As well as not cross posting, keep the channels on topic. Please see guidelines 1 and 5. Please do not post giphy, funny or random images in the main channels, use the #random instead. This is from experience, when the channels became a bit of a wild west with random images and giphy dominating and actual conversation getting drowned out. Please only post links in the main channels in relation to a question that may have been asked. Post your blogs to the #blogfeed channel to share something with the community, or ask one of the admins to add your RSS to the feed (please provide your RSS feed URL). Following these guidelines makes it easier for everyone to request help, receive help and live in harmony. A picture is worth a thousand words, and sometimes it’s much easier to post a picture, post a stack trace or share the code you are working on. Posting a picture is easy, either upload the image from your computer or paste direct from your clipboard using Ctrl+V. This both formats your code snippet nicely but also provides nice easier to the eyes syntax highlighting. If you’re post large blocks of code or stack traces then it also doesn’t use up the entire chat window and instead renders it in a nicer expandable window. The options are shown in light grey under the bottom right of the chat input. A few months ago, Slack introduced the concept of threads. Sometimes conversations happen very quickly on Slack and there may be multiple different conversations happening at the same time. 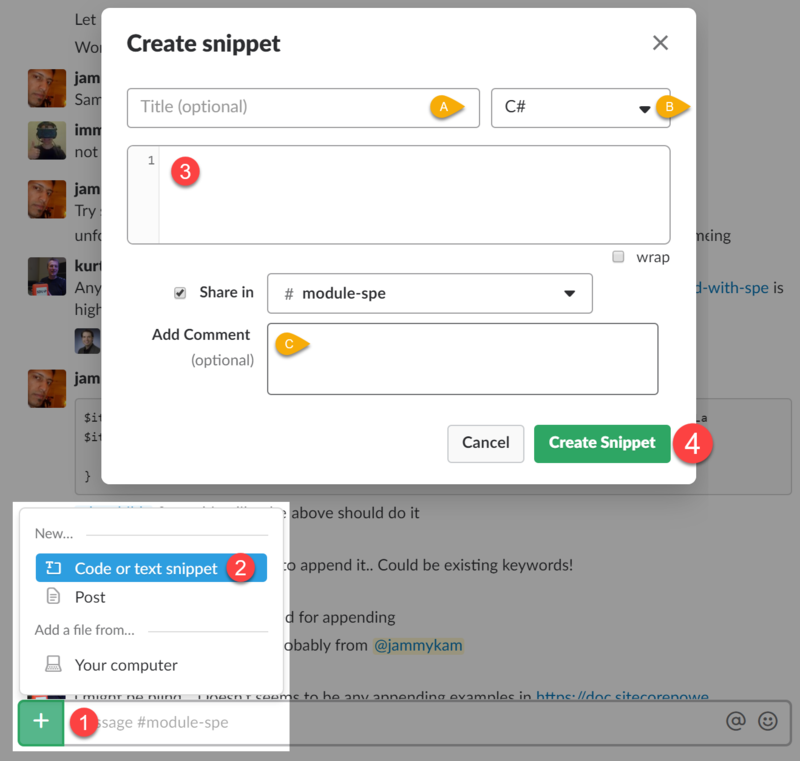 Feel free to use the Thread feature to help keep specific conversations grouped. We don’t enforce this as a rule, so just use your judgement at the time depending on how much activity there is at that moment. Each of the channels may have important or useful messages pinned to them. Be sure to check them in each of the channels, they will be different and relevant to each channel. Friends know each other by name! Please add your real name to your profile so we know who we are talking. Consider adding a profile picture too. All these things help make a better community and easier to figure out who you are when we meet in person! One of the best things about Slack for me was that fact it gave us a more direct way to communicate with each other. Before Slack, most of us would use Twitter, email or occasionally Skype to converse with each other. 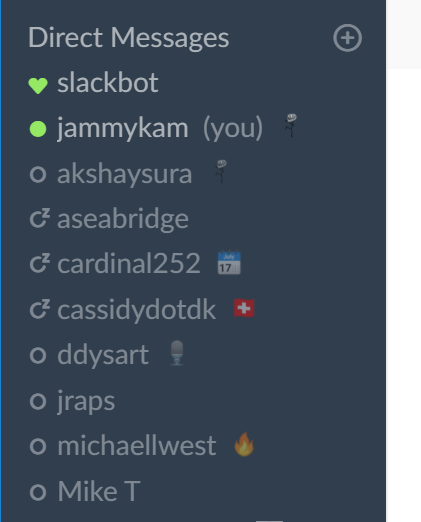 Slack changed that, because now we had an unprecedented level of direct access to each other. But with great power, comes great responsibility! If you are having an issue then post it on any of the main channels rather than sending specific people direct messages asking for help. Remember, people are participating in the community out of the goodness of their heart and they have day jobs, might be sleeping, have kids to feed or just busy in general. They are not your colleagues, not paid to provide help and they are not there as your personal support assistant. That’s not to say never DM people! I have plenty of conversations with a lot different people from many continents, sometimes work related, sometimes about a blog post they may have written, sometimes just to say hello! Just use a bit of common sense and a bit of good manners please. 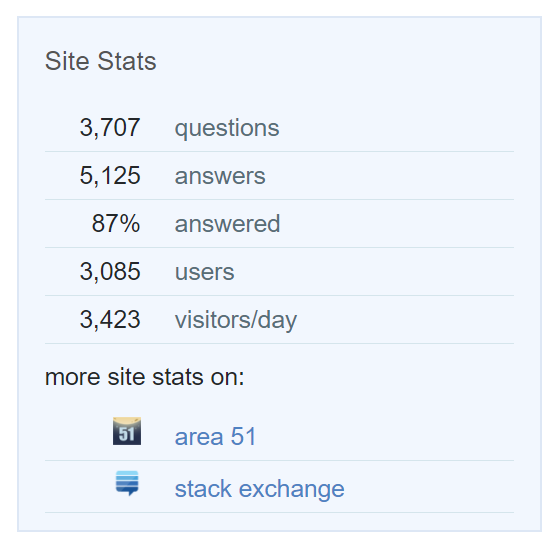 If you are trying to get help on a specific, well defined issue then consider using Sitecore StackExchange. Allowing multiple people to provide multiple answers – there are many ways to shave that Sitecore yak! StackExchange has very strong SEO game and by asking/answering using this platform everything will be crawled and indexed by the likes of Google and will help many more users in the long term. Your question may get lost in Slack chatter. They are more likely to remain visible on the main pages on SSE for several days, allowing it to be answered up by one of the global contributors. Tagging questions allows people to watch their areas of interest for new questions. Remember when asking questions on SSE, please mark as answer the reply which answers your question. This is both courteous and helps users in the future know what the correct answer was that solved your problem. If you solve your own problem then post an answer to let us know what you did. It’s also a learning exercise for us all as well. 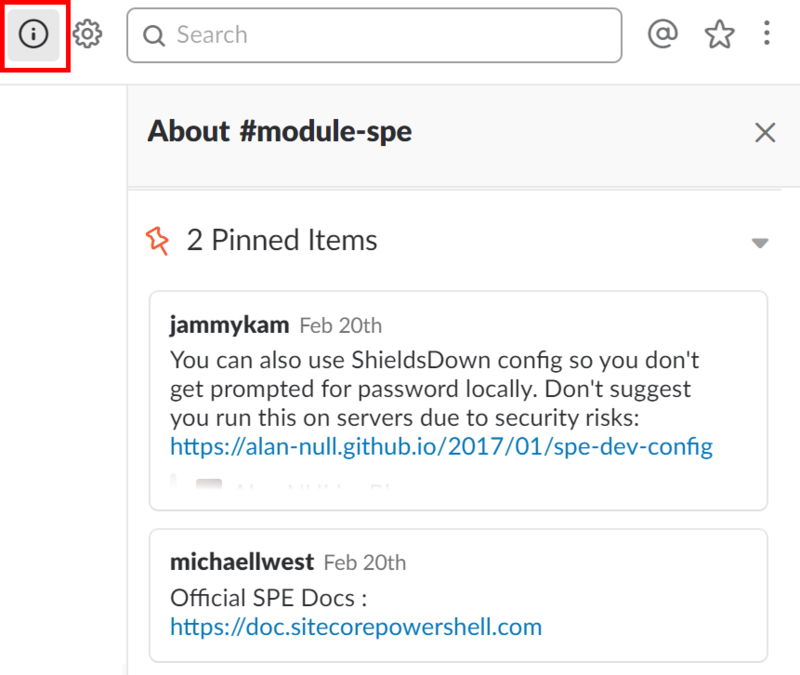 When to use Slack vs StackExchange? Have a read of this post by Richard Seal who goes into more details. There are a number of admins you can contact if you need some help, want to clarify something or want add your blog to the #blogfeed channel.